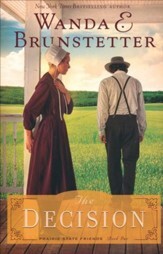 Suzanne was shamefully sent away as a pregnant teen, by the Old Order Mennonite community and returns twenty years later to take care of her mother. She and her adopted daughter Alexa have spent months rebuilding relationships with her family. Suzanne must also let go of Alexa as she heads back to Indianapolis to find her birth parents. Can mother and daughter trust God to restore all things in His timing? It wasnt easy to move back to the Old Order Mennonite community from which quiet, responsible Suzanne Zimmerman was shamefully sent away as a pregnant teen. Returning twenty years later to take care of her mother, Suzanne and Alexathe daughter she raised as her ownhave spent months rebuilding relationships with her family. Now with the upcoming wedding of their biological daughter, Suzanne and Paul find themselves drawn to one another once againbut with new challenges to face. They have been single parents with painful pasts. Can Paul and Suzanne find the strength to rebuild the loving relationship that was torn apart by their teen pregnancy so long ago? Suzanne must also let go of Alexa as she heads back to Indianapolis to visit friends--and as her chance to find her birth parents. Leaving the bed-and-breakfast in Suzannes apprehensive hands, Alexa embarks on a journey that will certainly change her life completely. Can mother and daughter trust God to restore all things in His timing? Kim Vogel Sawyer is a best-selling, award-winning author highly acclaimed for her gentle stories of hope. 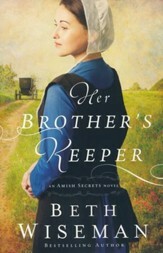 More than one million copies of her books are currently in print. She lives in central Kansas where she and her retired military husband, Don, enjoy spoiling their granddarlings. 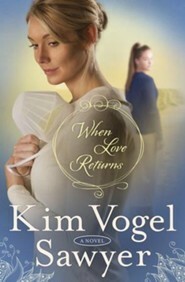 "When Love Returns is a finely interlaced story of first choices, second chances, and a healing heirloom of truth. 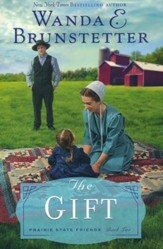 Kim Vogel Sawyer balances the uncertainty of the past with assurance of a redeemed future in a message that will gracefully infuse hope into the real-life stories of her readers." "I love Kim Vogel Sawyers stories and the way they always live up to the promise of gentle stories of hope. Her characters draw me in, hold me captive, and leave me with a renewed sense of hope and a stronger faith than I started with." "Kim Vogel Sawyer paints characters with exquisite detail emotionally and physically, then sets them in a story that transports the reader into a world equally as appealing as the people who live there. A captivating read, leaving you wanting more." "With a compelling style, Kim Vogel Sawyer weaves a story of love, compassion, forgiveness, and redemption and a family determined to discover and accept the truth. This novel captivates and challengesa wonderful read." "Kim Vogel Sawyer is a superior writer, showing the reader the inner workings of a family steeped in rigid rules and a powerful regard for family pride. Forgiveness may be out of reach for a family jaded by derision. Sawyer is able to tie all the pieces of their lives together and keep readers interested in a possibility of another story about adoption and loss." "Kim Vogel Sawyer has crafted an affecting, emotion-packed novel about two damaged souls whose faith and courage ultimately come shining through. 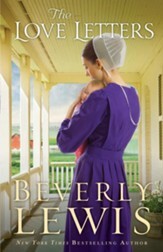 With its vividly rendered settings and well-rounded characters, this lovely story is sure to please Ms. Sawyers many fans." "Kim Vogel Sawyers heartfelt writing and careful attention to detail make her one of the industrys favorites." I'm the author/artist and I want to review When Love Returns #3.